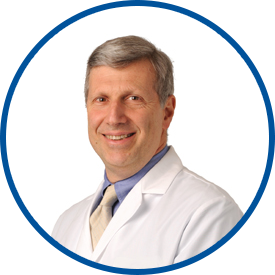 Dr. Moshman is board certified in internal medicine by the American Board of Internal Medicine. He received a bachelor of arts degree with high distinction in medieval studies and biology from the University of Rochester. He was then awarded his medical degree from the State University of New York at Buffalo, School of Medicine. He completed his internship and residency at Montefiore Medical Center. He is a member of the American College of Physicians. He was a staff internist with the Westchester Community Health Plan from 1980 to 1985, and with Kaiser Permanente from 1985 to 1999. He joined WESTMED Medical Group in 1999. Dr. Moshman is a clinical assistant professor of medicine at New York Medical College. He is affiliated with White Plains Hospital. I have had this provider for more than 30 yrs. Dr. Moshman has been my primary care doctor for years. I am very comfortable with him and have complete confidence in him and my health care because of him. All good. I'll see him next year. I have been with *Dr. Moshman for over 15 years. Dr. Moshman is the BEST!!!!! Dr. Moshman is a credit to your community. Dr Moshman is courteous and very smart. He makes you feel comfortable. I'm hoping Dr Moshman practices for a long time. Dr.Moshman's personality and demeanor is that of a very calm and confident physician, which right away calms my nerves,Ithankful for his caring nature. Dr. Moshman has been my primary health care provider for many years, I have the utmost confidence in him and respect for him. He is attentive, caring and easy to talk to. Dr. Moshman is an Excellent doctor. Dr Moshman is caring, thoughtful and very knowledgeable. As stated previously Dr Moshman is dedicated and concerned. He treats you special in a unique way; like a friend. He knows your history inside one out. When he walks in the room he picks up from our last conversation months before. Dr Moshman is truly a great Dr; a role model medical professional.